It's getting hot and humid in this Hoosier jungle we live in. It's the kind of heat that's thick and sits like a boulder on your chest. It's the kind of heat that causes the air conditioner in the house to struggle to keep up pace. So today I am closing all the drapes and blinds to keep the sun out. The house is dark and feels like a cave, but it will help keep us cooler during the day. But what did our ancestors do? Surely they didn't just love the heat? I imagine they hated sweating as much as we did and suffered heat stroke and dehydration. So what tricks did they have to keep cool? Ancient Romans used their handy dandy invention of aqueducts to keep their house cool. The system that ran through the entire city also circulated cool water through the walls of their homes. 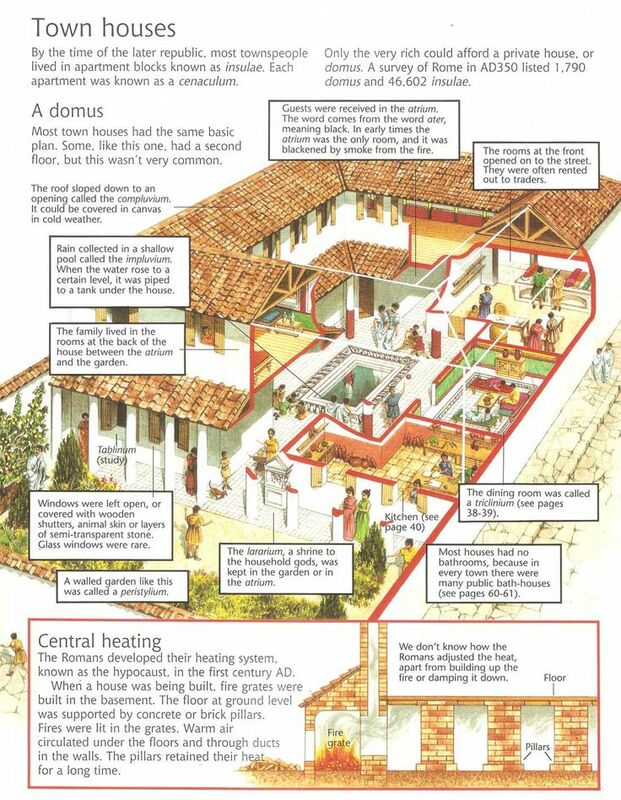 The Romans were pretty amazing, really. Their homes were designed in such a way to keep them as self-sufficient as possible. 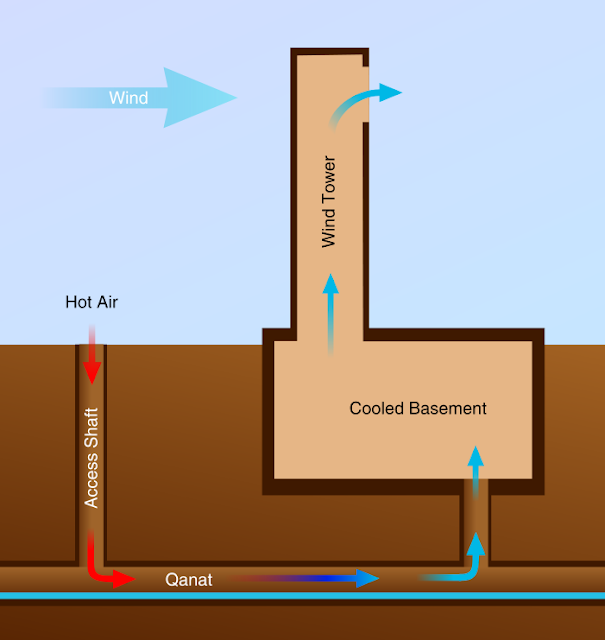 Ancient Persians created wind towers to keep cool air circulating through buildings. This is, of course, was and ancient architectural design but is still used in many modern places in the Middle East. It's green, so perhaps we should investigate how to apply it to modern life here? Maybe? No? Too much of an eye sore? 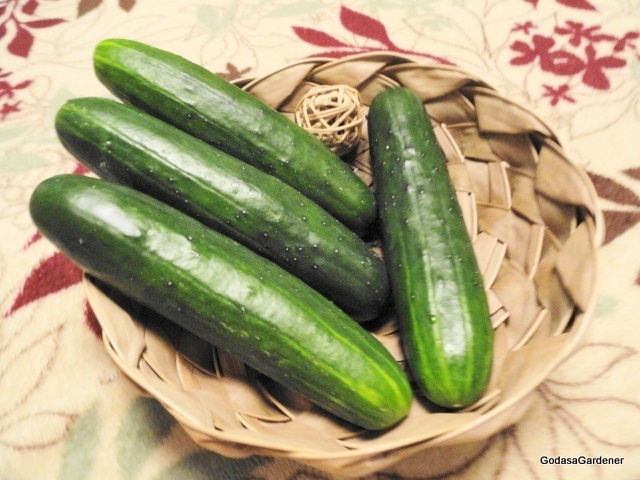 Ancient Hebrews prepared for the heat by planting certain crops like melons and cucumbers that were like gold to them. 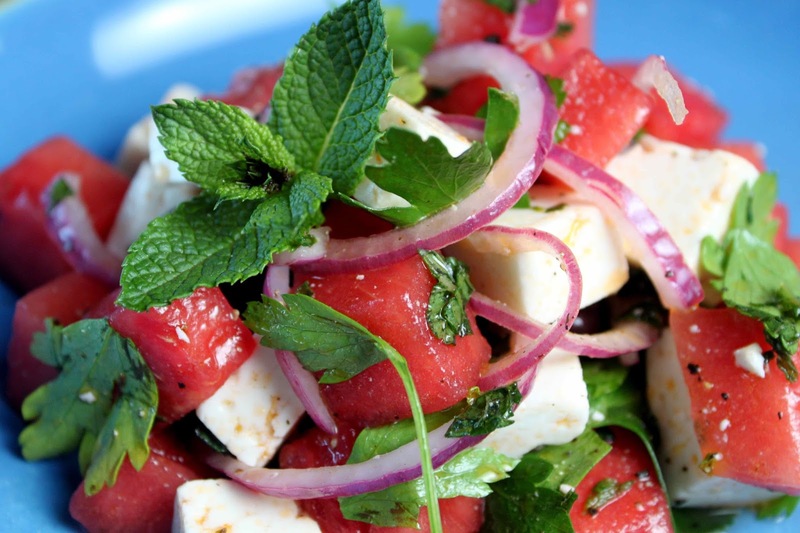 Not only were they used for different types of cleansing, but they also had a cooling affect when eaten. I'm sure you've noticed this, right? They were so valuable to them that they set out watchmen to guard the crop from jackals that would raid the gardens during the night. A homeless man I met a few weeks ago proudly explained to me that in the South, where he was from, you eat small meals during the day of crisp, cool salad greens to keep you cool in the heat. Just live underground. I mean, early man started to bake in the summer heat and saw a dark cave, right? He wandered inside and cooled off and decided that it was as good a place as any to make home. 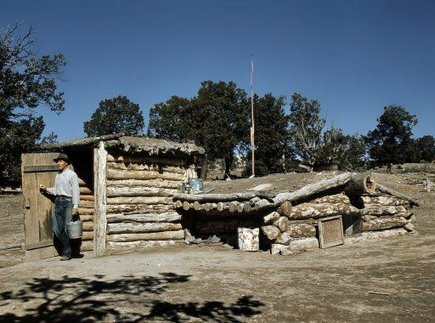 Early Americans did much the same by living in dugout homes. But even today, we see some pretty stylish sub-terrain homes being built in order to maintain a smaller green footprint. It might not be your cup of tea, but someone is living happy and comfortable in their chic version of cave living. Home Design. 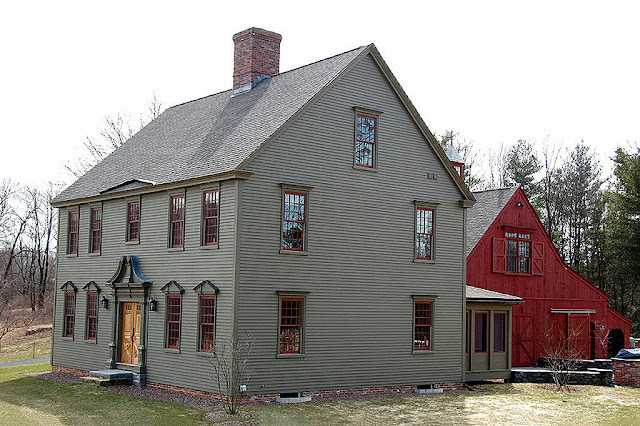 There is a reason that colonial homes had such high ceilings and narrow, tall windows. The high ceilings allowed the heat to rise. The transoms over the window allowed circulation to pass through rooms and hallways. 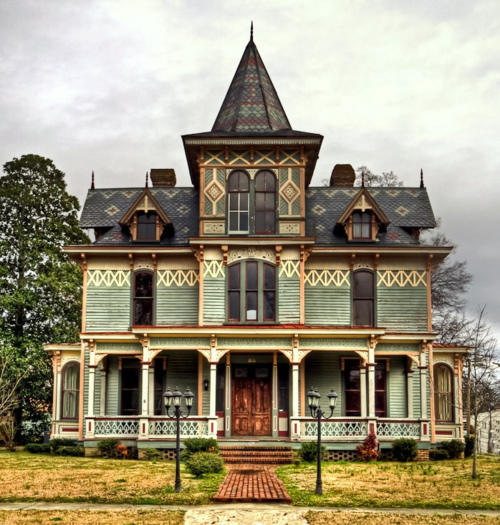 Upper levels were only used at night, and if you were lucky, your house might have a tower built in that allowed heat to vent and exit the house. 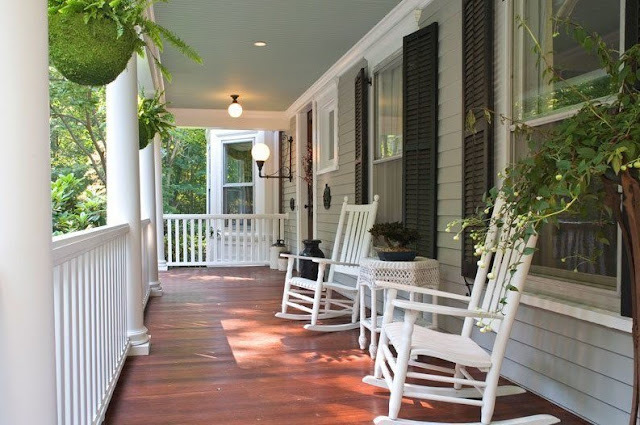 That southern, deep porch wasn't just for rocking and sipping mint juleps. The deep porch not only created a good amount of shade up close to the house, but it also got people out of the house into whatever breeze they could catch. It provided a great opportunity to socialize with neighbors and share news, both good and bad. What a beautiful thing. 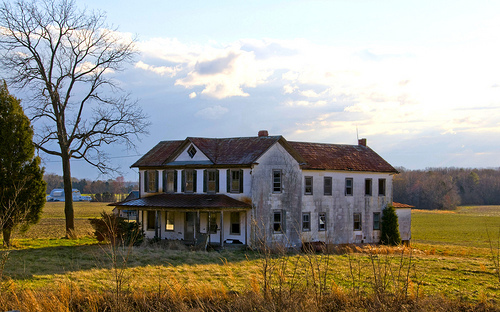 Pre-Civil War plantations put slave children to work fanning the house occupants with palm branches and personally pulling and tugging at their home-built version of an early ceiling fan. I know, I know. The photo I have supplied is from a fictional movie, but you try to find a photograph of real-life slave children fanning Southern elite. I couldn't find one. 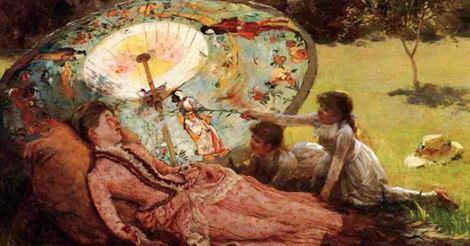 The Victorians invented the ceiling fan. They already had fantastic home design and floor plans that allowed for circulation and cooling, but the addition the ceiling fan helped improve upon what they had to work with. They had homes with deep, pocket doors and deep windows with awnings and shutters. They also used lace curtains to filter the sun's heat but allow light into the darkness and heavy drapes to pull when even that was not enough. Texans also built their homes with heat in mind. They entrance to the home had a long hallway that ran from front to back with a door at both ends. This sucked in a breeze that kept air moving throughout the entire house. The ceilings were as high as 12 feet with transoms over all the doors to keep air passing from room to room. 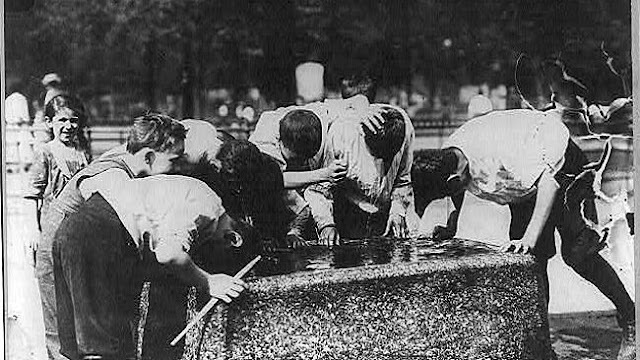 Water fountains used to be frequented in cities and towns. They were sometimes as big as troughs to allow passerby's more than just a drink of water. Ice Blocks. 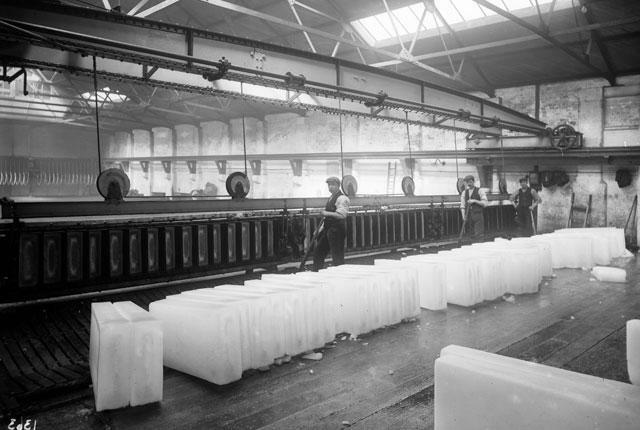 People not only used them to keep their ice boxes at home cool, but to keep themselves cool in the heat. They chipped off pieces and ate them or wrapped them in cloths to drape over the back of their necks. They also put chips of ice in front of fans to blow cool, moist air into the room. Desperation called for all kinds of wild measures such as refrigerating bed sheets and hanging wet, laundered clothes in the doorways so an afternoon breeze would draw the cooler air through the wet clothing and cool those standing nearby. 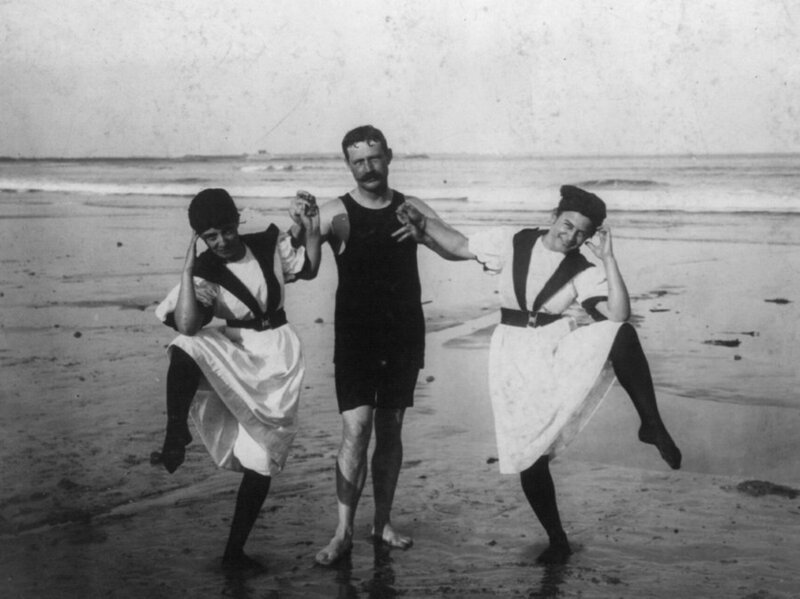 It also called for the invention of bathing costumes where folks could take refuge from the heat and soak in their oceans, lakes and rivers. Trees. Shade trees are still a beautiful thing, even today. And how beautiful. This is a timeless opportunity that connects us to our ancestors. Each time we seek shelter under a large oak or maple, we are doing something that even they would do. We might not have as many trees today, but we sure as heck can change that. So there you go. Fun facts for your VERY HOT Thursday afternoon.